Gallant & Adrian Younge Link Up On "Strobe Lights"
Home>New Songs>Gallant Songs> Gallant & Adrian Younge Link Up On "Strobe Lights"
Gallant and Adrian Younge team up for their new song, "Strobe Lights." Gallant's making his way back into the game after laying low for a few months. Earlier this month, the singer released a cover of Ne-Yo's "SexyLove" shortly after Valentine's Day. Thankfully, it looks like he has more music up his sleeves. He teamed up with Adrian Younge recently for the producer's Black History Month series with Amazon Music. The two artists link up for their single, "Strobe Lights." 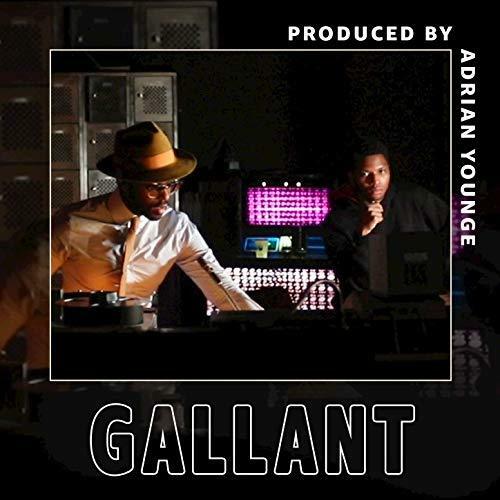 Gallant and Adrian Younge make a great pairing on their new track, "Strobe Lights." The two artists team up for a smooth single exclusive to Amazon Music. "‘Strobe Lights’ is about those weird sensors in your brain that go off as a kid at your best friend’s house that make you think ‘Hold on, am I the black friend? Is that all they and their family are thinking of me?’ But then you stop yourself because that’s ridiculous… but then you look around and the other friends are hopping on couches, calling the parents by their first names… and you could never do that, not here. Or maybe you can, but you’d never do that— you’re the black friend," Gallant said in a statement about the song. Peep their new collab below. Soulja Boy Aims The Drako At Tyga & Akademiks On "Pressure"
SONGS Gallant & Adrian Younge Link Up On "Strobe Lights"